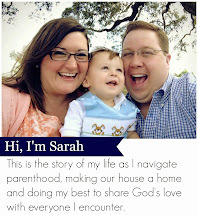 My dear sorority sister Suzanne shared this link this morning on her blog. Strangely, this short video was able to illustrate to me all that it is that I miss about living in Florida. knowing a familiar face, and the story behind it. 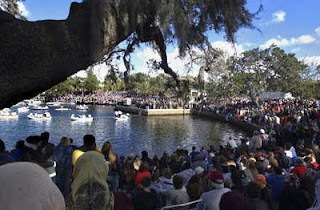 You see, this clip was about a big tradition in Tampa's Greek Orthodox community in the town of Tarpon Springs (near where my in laws live). Link #1. On Epiphany each year, January 6th-my birthday, there is a huge celebration. Link #2. 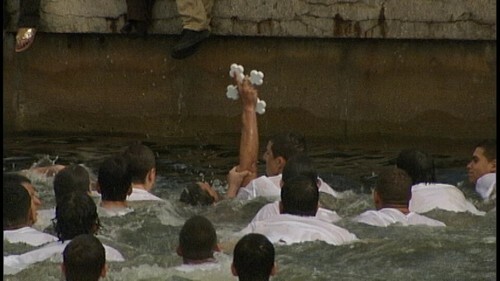 The young Greek Orthodox men in the area dive into the spring to retrieve a cross thrown in by the Greek Orthodox archbishop. In the Greek Orthodox church, Epiphany celebrates Jesus’s baptism in the River Jordan. Combine that with Tarpon Springs sponge diving and boating heritage and you have a tradition born more than 100 years ago that continues today. I've been lucky enough to witness this even first hand at a former co-worker and junior leaguers parents home that surrounds the spring. Link #3. This year the young man who retrieved the cross is a student at the high school where my friend teaches. Link #4. His name Louis Pappas - also the name sake of his families restaurant - one of my favorite dining establishments. Link #5. The sports caster interviewing him seriously dated two of my very good friends. Link #6. I'm carving my niche here, but miss the community and network I used to have. I hope Rush went well this weekend. I can't get used to recruitment as the term. Awww...I just saw this! FYI- FLORIDA MISSES YOU, TOO!